We clean carpets in homes across the entire North East. Whether you need your living room carpet cleaned, your stair carpet needs to be brought back to life, or your entire house needs a refresh, we can help. All of our cleaning solutions are pet friendly, eco friendly and suitable for wool carpets, so you don’t need to worry about a thing. Simply get in touch to discuss your requirements and arrange an appointment that is convenient for you. We’re open 7 days a week and can work during the evening to fit around your work commitments. All of our cleaning solutions are pet friendly and eco friendly. All of our services are both efficient and affordable. We are fully insured to give you total peace of mind. Over 90% of our clients are previous customers or from referrals. What kind of cleaning method do you use? We use rinse extraction (steam cleaning) and low moisture cleaning. No single system is suitable for all carpets. We use the system that will give the best result for the particular carpet being cleaned. Are the solutions used child and pet friendly? Yes – all solutions used are safe for children and pets. In fact, it is recommended to have your carpets and furniture thoroughly cleaned using these methods to insure a hygienic and healthy home for those living in it, especially for babies and children who tend to be on the floor either crawling or playing with their toys. How safe are your cleaning solutions? All of the cleaning solutions used by Abfresh are eco-friendly to the highest standards, and are safe on wool carpets and rugs. How long will it take to clean the carpets? How long it takes all depends on your requirements. The average time to clean a small to medium sized living room carpet is one and a half to two hours. Commercial carpets and staircases take a bit longer. 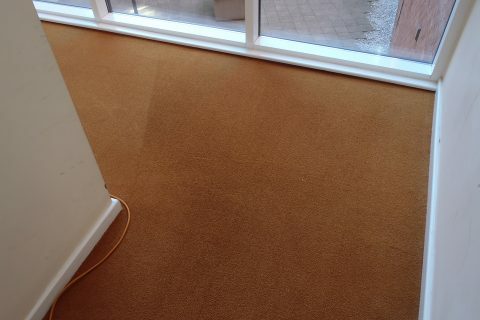 Once I have my carpets cleaned, will they get dirty again very quickly? This typically happens when detergent residue is left on the carpet, often caused by DIY carpet cleaning machines and cleaning chemicals or disreputable “cowboy” carpet and upholstery cleaners who are cheap and low-end market. We use detergent-free cleaning solutions, followed by an acidic rinse, which leaves your carpet ph-friendly to keep it clean for as long as possible. Can you get all stains out of carpets? While we are successful in removing the majority of stains, there are many variables to this, such as the age of the stain or if you have tried to remove it yourself using a detergent based product that can set the stain even more. 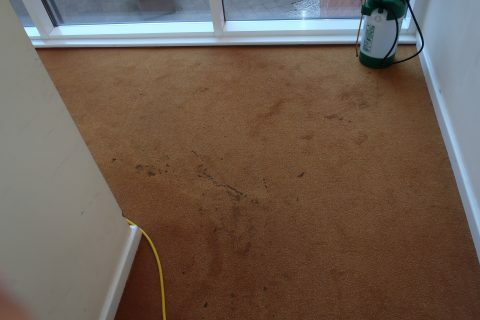 Some stains when set can discolour the fibre of the carpet. Particularly in Wool rich carpets that have more absorbent fibres, stains may be permanent, however, that is the worst case scenario. Even if that stain cannot be completely removed, using a detergent-free rinse and the appropriate solution for the stain can usually achieve a satisfactory result. What is the difference between your cleaning and hiring a Rug Doctor? We use the best machines that are worth several thousand pounds and incredibly powerful. Our expertise is in being able to identify carpet and upholstery fibre types and understanding how different materials will react to certain solutions. Getting the best possible result requires tailoring so we use the correct methods, solutions, heat and water pressure to safely clean your carpets and soft furnishings. With all of this, the results you’ll get will be far superior than those from a machine for hire. Do I have to remove my furniture? You do not have to remove your furniture. We will move any moveable furniture and place it back on poly blocks that will protect the carpet while it is drying. The only thing we ask is that any small and delicate items be removed. How long do carpets take to dry? Most carpets feel dry to the touch after a few hours. The time it takes can vary, depending on the type of carpet. For example, Wool rich carpets take longer than man-made fibre carpets like Polyprop. That is due to the natural absorbency of wool. If a carpet is heavily soiled, a deeper clean will be required meaning a slightly longer drying time. But rest assured, carpets are not left soaking wet after the cleaning. We would allow 24 hours for your carpets to fully dry as the machines used will clean deep into the pile. That’s why rinse extraction is the safest and most thorough carpet cleaning as recommended by the world’s leading carpet manufacturer Shaw Industries. Do you clean office carpets? Yes we do. We clean carpets for both homes and for all types of businesses. Please see commercial carpet cleaning for more details.